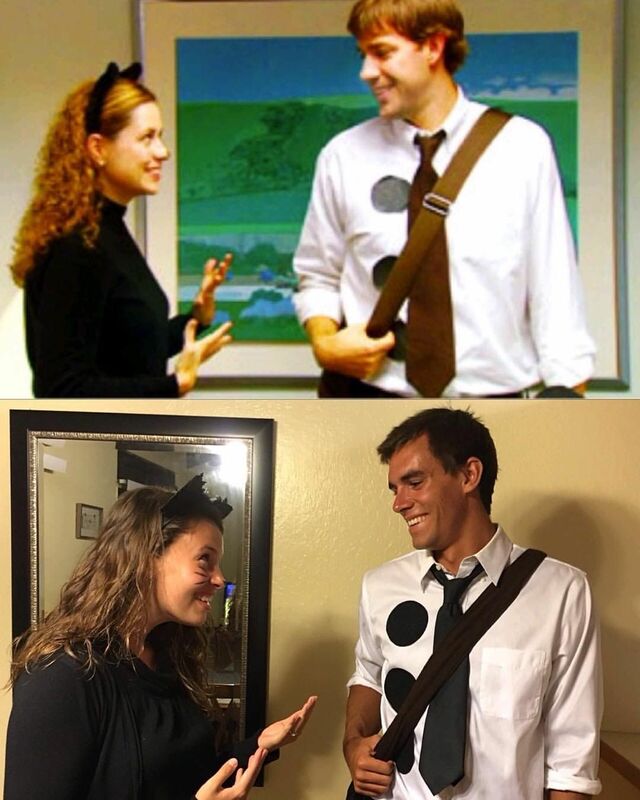 The best costumes are couples costumes. That's right, spooky season has arrived! Halloween is dawning on us, and if you're like me, you're always doing the costume thing last minute. The best costumes on Halloween are the ones where you can pair up with your boo thang and show off just how cute you are. Plus, making the costumes yourself saves you a whole lot of money! Making your own is also way more fun than buying one online, and it makes your outfit look way more creative. I promise, not all of the costumes on this list require a ton of effort because I know how annoying it is when you're scrambling to put together a costume last minute. 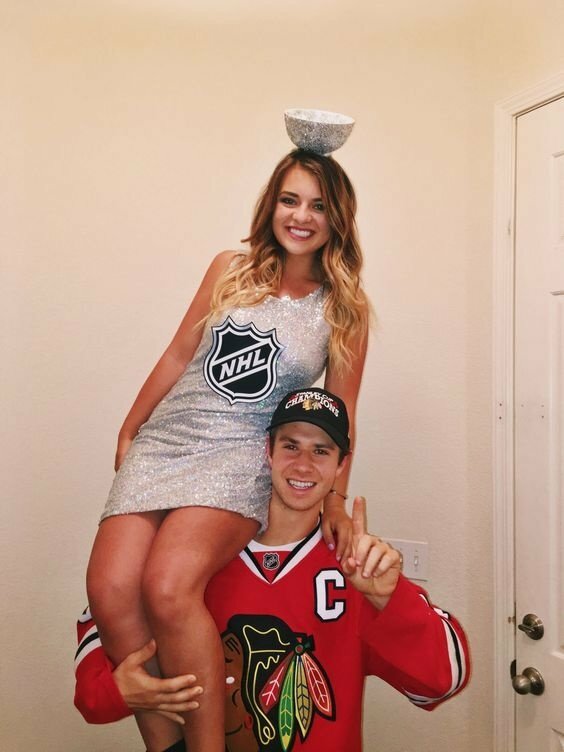 There's a lot of great couple costumes out there, but here are some of the cutest. These ones are sure to make you and your S.O. look the best at the party. 1. Mike and Eleven from "Stranger Things"
These two are the ultimate power duo from my favorite show on the planet. A majority of the costume can be put together from clothes you already had. Don't forget the Eggo waffles because Eleven doesn't go anywhere without them. This is the cutest costume ever! If your boyfriend isn't into dressing up much for Halloween, this is the perfect costume for the two of you. It's super easy to put together and you'll look so adorable. 3. 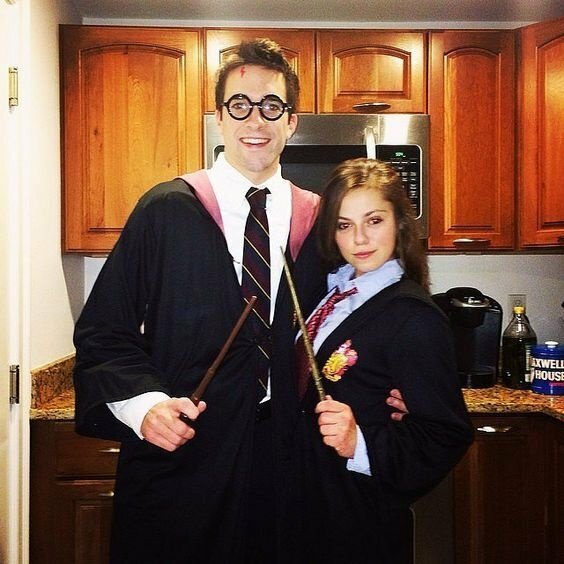 Harry and Hermione from "Harry Potter"
This costume is magic. Curling your hair is a simple way to pull the costume together, and all your man needs to do is put the iconic lightning bolt scar on his forehead. Wearing a skirt and tie is a great way to look like Hermione! 4. 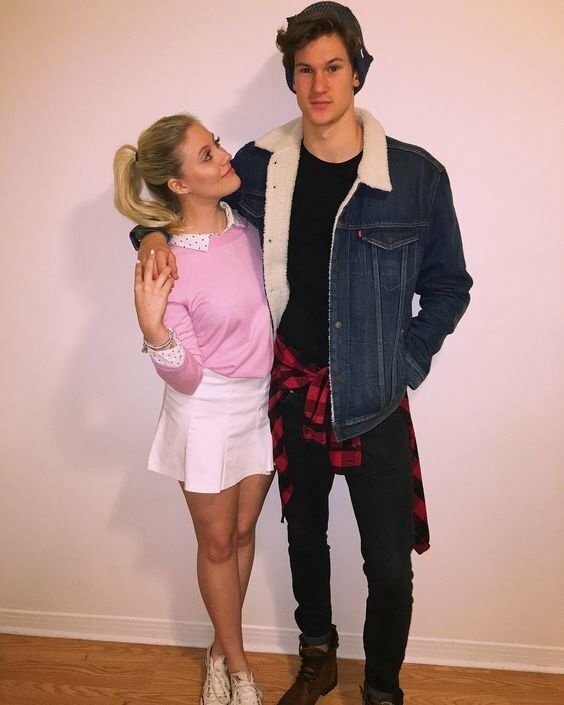 Betty and Jughead from "Riverdale"
Bughead is always couple goals! A flannel and skirt will go a long way for this costume. Also, who is Jughead without his beanie? That's a must! 5. Peter Kavinsky and Lara Jean Covey from "To All The Boys I've Loved Before"
One of the best new Netflix movies of 2018 gave us a new couple that we all love. Pulling off Peter's style only requires an old sports team hoodie from high school, and if you have a printed skirt, that should work for Lara Jean! Don't forget to wear your favorite scrunchie around your wrist or wear a bow in your hair to perfect the look. 6. Jim and Pam from "The Office"
Just simple office attire is needed to put this costume together. If you want to make this look even better, you can wear the couple's Halloween costumes they wore on the show, which are even more adorable. 7. Baby and Johnny from "Dirty Dancing"
Feeling like going back to the 80's? Baby and Johnny are the perfect couple if you want to go back in time! Don't worry, no dance requirements are necessary for the costume. 8. 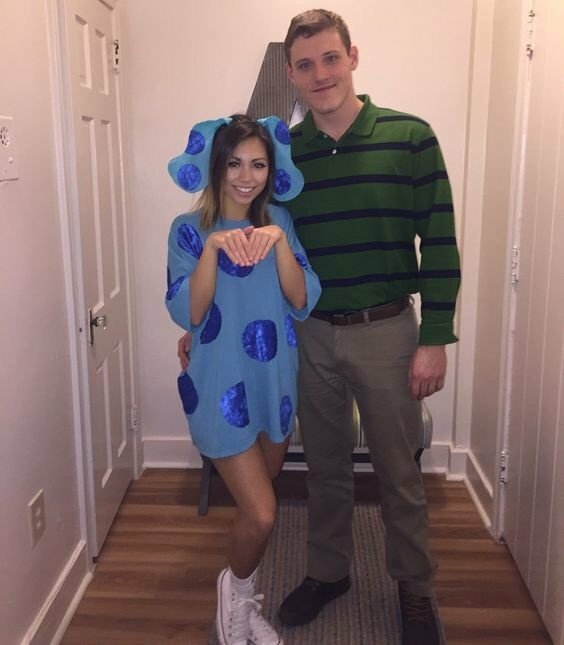 Steve and Blue from "Blue's Clues"
This one is SUPER simple and easy to make yourself. All that's needed for your man is a green rugby shirt, and you can make the ears and shirt! This fun and playful outfit will be sure to get you some compliments. 9. 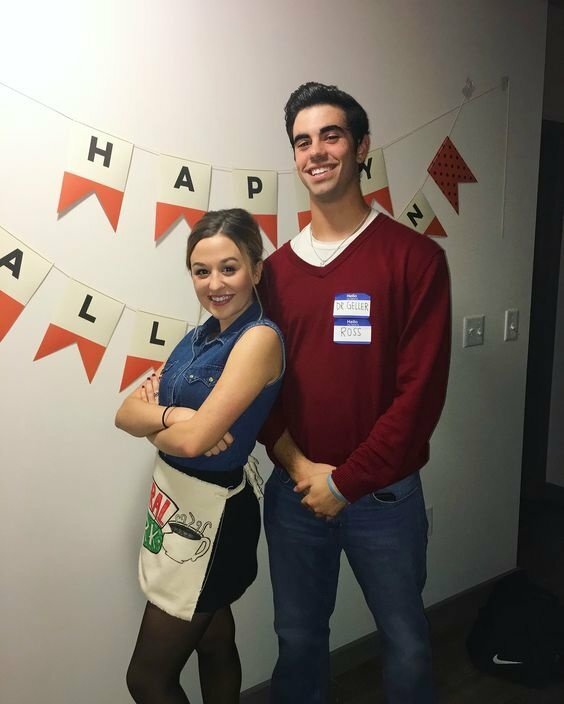 Ross and Rachel from "Friends"
Rachel is more than just a waitress, but the best way to show her off is in her Central Perk outfit! Ross loves his sweaters, and adding the name tags of "Dr. Geller" will have everyone cracking up. 10. Zack and Kelly from "Saved By The Bell"
Dressing up as the best couple to hit television will be sure to get you some praise. For Kelly, any high waisted shorts and bright top will work, along with a scrunchie of course! Zack is always in jeans, and any big striped shirt you own will make you look like you're from Bayside High. 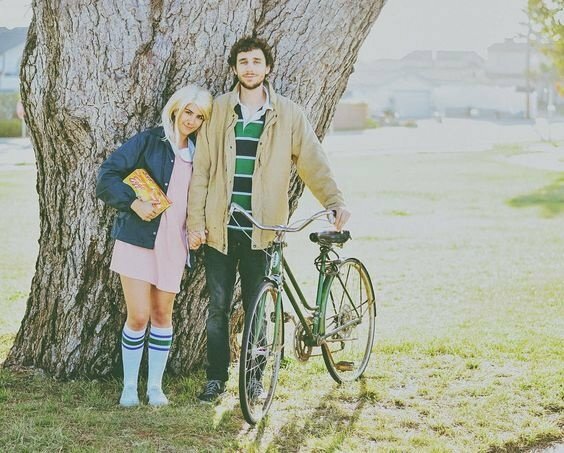 Have fun dressing up as some of the best couples and pairings in pop culture! Happy Halloween, Y'all!